If you have followed my blog for any time now, you know that I like to bake. I especially like fun/novelty items and specialty packaging. Well, what is more fun than these mini cookie cutters? I purchased these from Amazon. 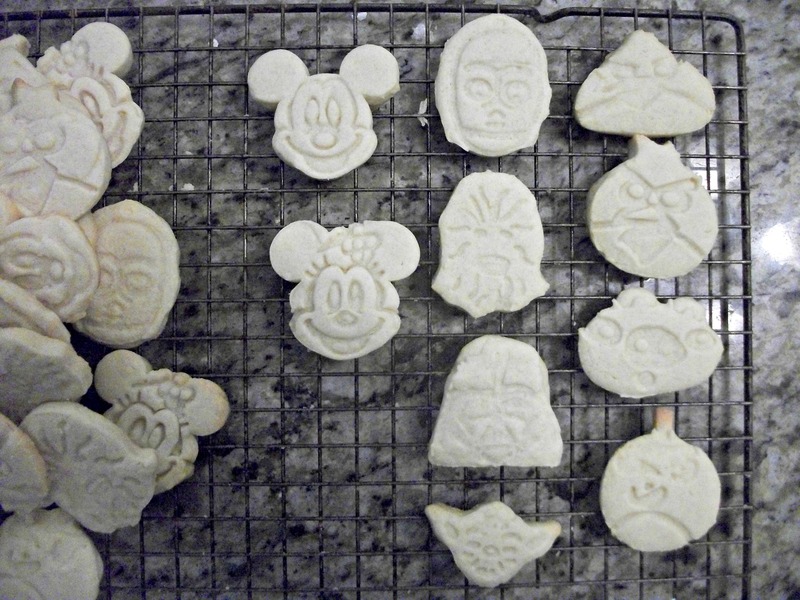 In case you can’t tell what they are supposed to be: Mickey/Minnie Mouse, Star Wars, and Angry Birds. They are a little larger than an animal cracker in size, so they are not tiny, but also not an oversized cookie. There are tons of vendors for cookie cutters like these. My own personal rule is to aim for about $1/cutter.